Looking back at the month of May, it feels like I did a lot, but yet didn’t get much done at all. If anything, May was a mountain that I finally got over. Due to that it felt like forever, but actually passed by in a whirlwind do to a variety of reasons. First up, work. I’ve talked a little bit about it last month, but May has ended up being the busiest month yet with some long hours and ups and downs, but things worked out for the most part with the issues that I was dealing with and life is settling down again. I see another mountain in the distance but it shouldn’t be as bad as this last one. If anything, I’m hoping this will let me finally get to go on some business trips abroad as opposed to all domestic Japan only. One of the major perks of May through was meeting the mastermind behind Gundam Australia. What was supposed to be just drinks and dinner turned into a 10 hour adventure in Osaka. No one tells a better story than the man himself, so I highly suggest you check out his full report at GAF of what went down. Well, full story so far as what we can legally tell you. On the home side, the SO and I continued our spring cleaning and re-arranging of of how our room layouts are done. 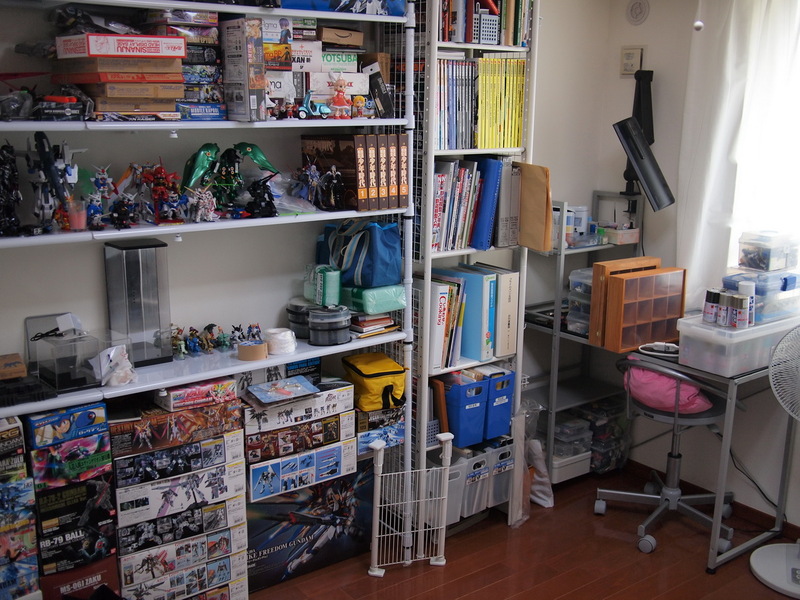 I’ll be finished moving all my gundam stuff and setting up my workshop in our spare room hopefully in the next week or two. This means I’ll actually be able to start taking pictures again, as the running gag is that… well I never get around to taking photos! But actually, there is a bit going on at home that I’ve not posted about, so once we finish moving things around, I’ll actually have more room to do pictures and stuff without bothering the SO. With a window by the desk where I’m setting things up, future plans no include a possible investment into a spraybooth along with a compressor. This may allow for that eventual move into airbrush land. But that all depends on things over the summer so nothing set in stone yet. But now onto the important stuff right? 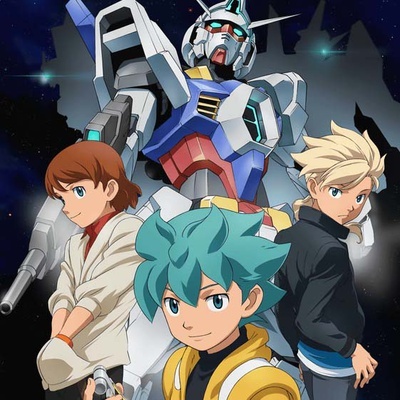 Gundam! 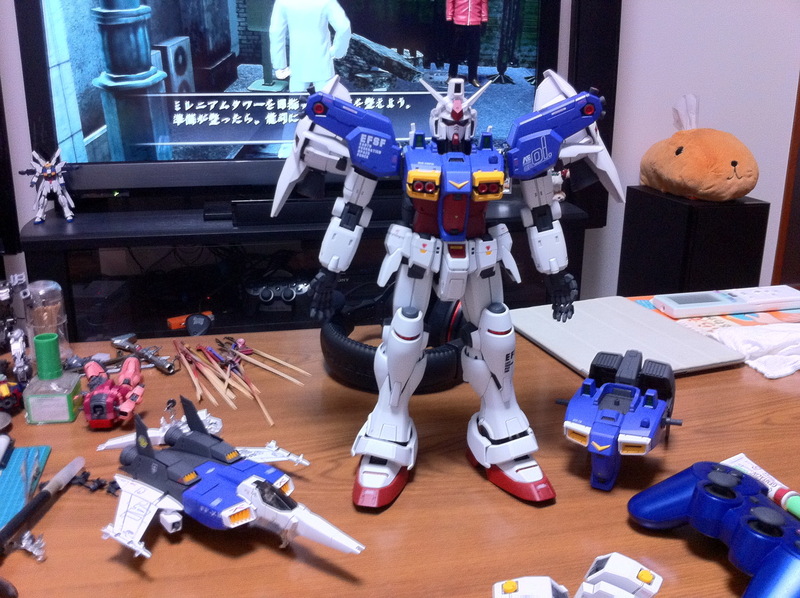 I actually didn’t get much of anything done aside from the Gentei Destiny Gundam. I was actually fairly impressed by the kit, especially that it could hold it’s giant sword with no problems. Pictures will eventually be showing up, but I think there are a couple on the facebook page. The main thing I posted about though was my participation in the Gauntlet of the Apocalypse. If you’ve not checked out the thread, then click the pic below and check it out. Some amazing teamwork and synergy is happening there, and it’s the little touches that really makes this build special. My particular favorite is the GAF Blog post providing breaking news on everyone’s progress. 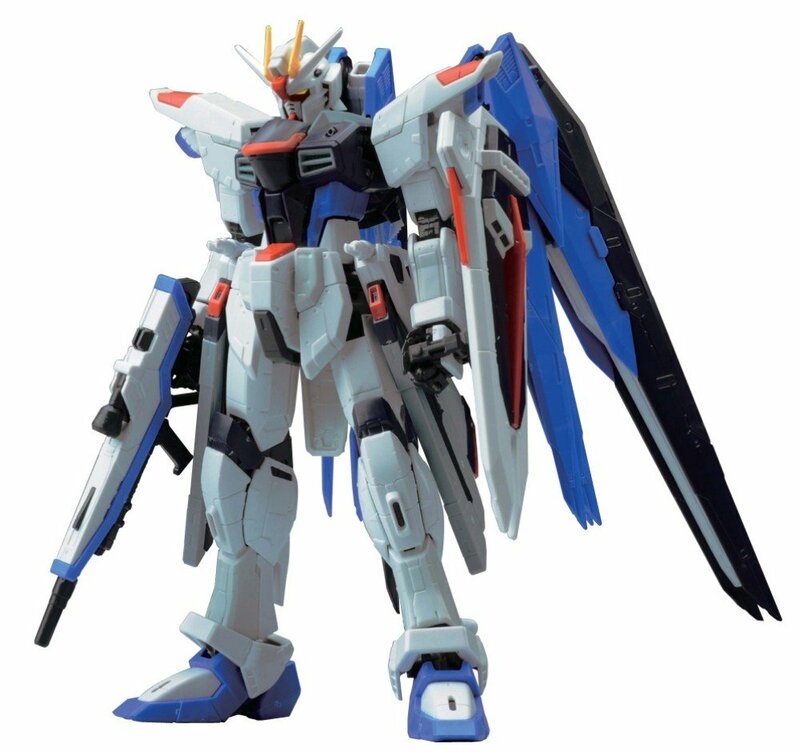 I will definitely being doing what I can to make sure the retrofit of my Strike Freedom is ready in time for our initiative. In other kits, the progress on the PG GP01 is about 80% done, I just need to finish the waterslides on a few parts and top coating and the GP01 Version will be done. 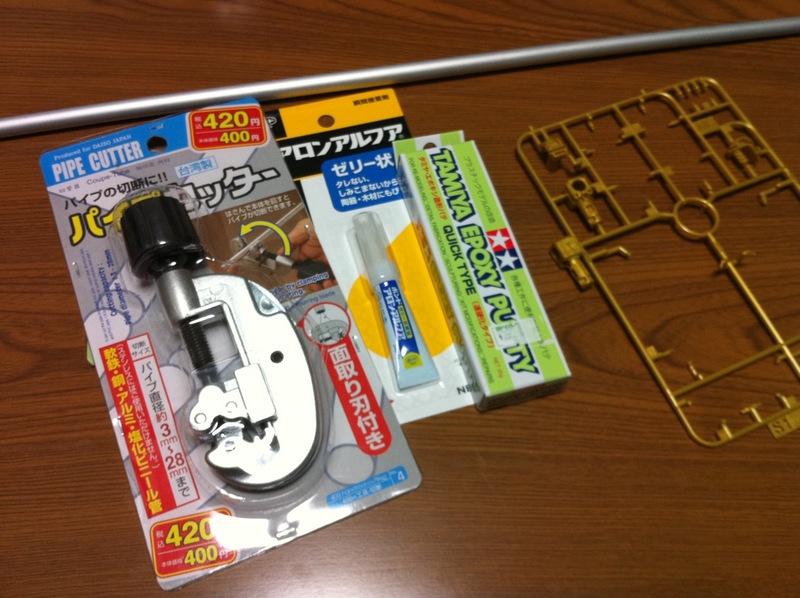 The full Vernier parts will take a little longer, but I’m not sure if I’ll even use them yet. 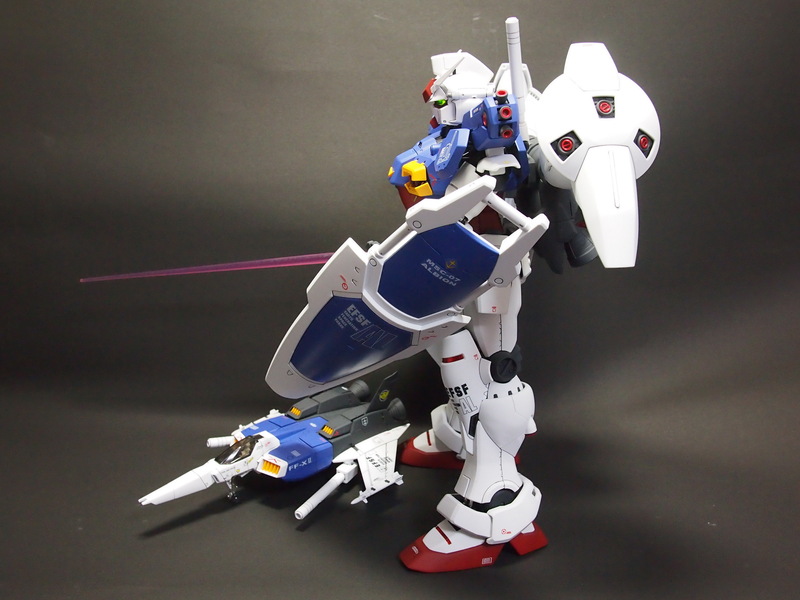 I’m also going to knock out some more HGUC kits to get boxes out of the way. 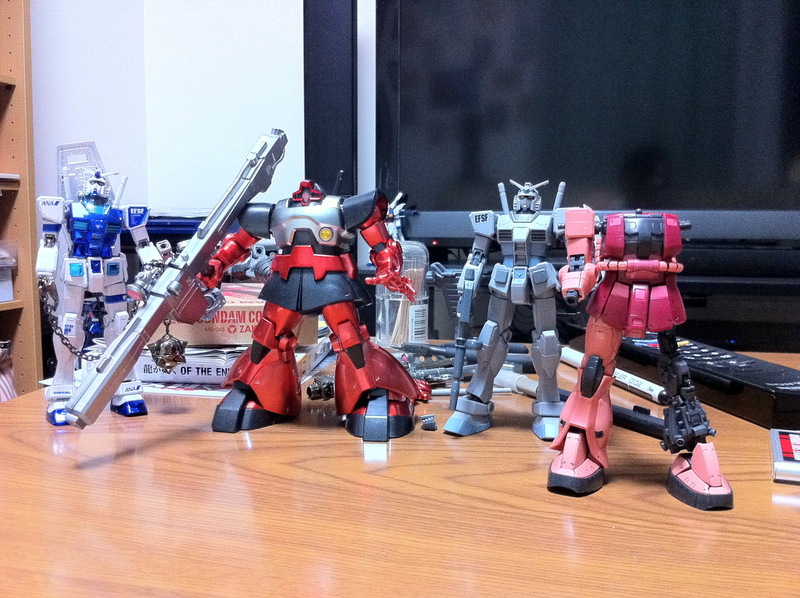 At this point I think I’ve got 3 versions of the HGUC 78-2/3 Gundam I need to build, so I just might do that. But being too ambitious usually leads to nothing getting done at all so I’ll keep plugging at it at my own pace. 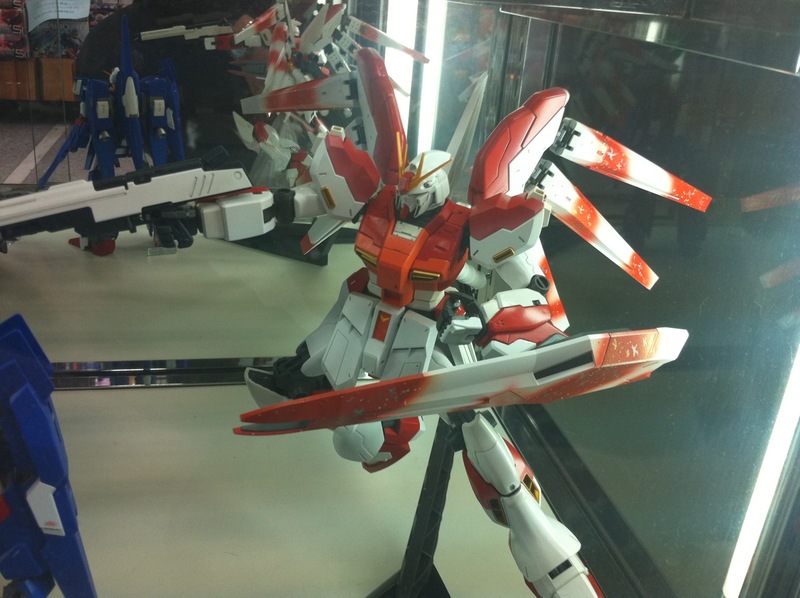 On next to the latest kit news, we saw the 50th Shizuoka Hobby Show this month, and to tell the truth I came away from the news quite disappointed. No where near as exciting as last year, and only with short term release information. 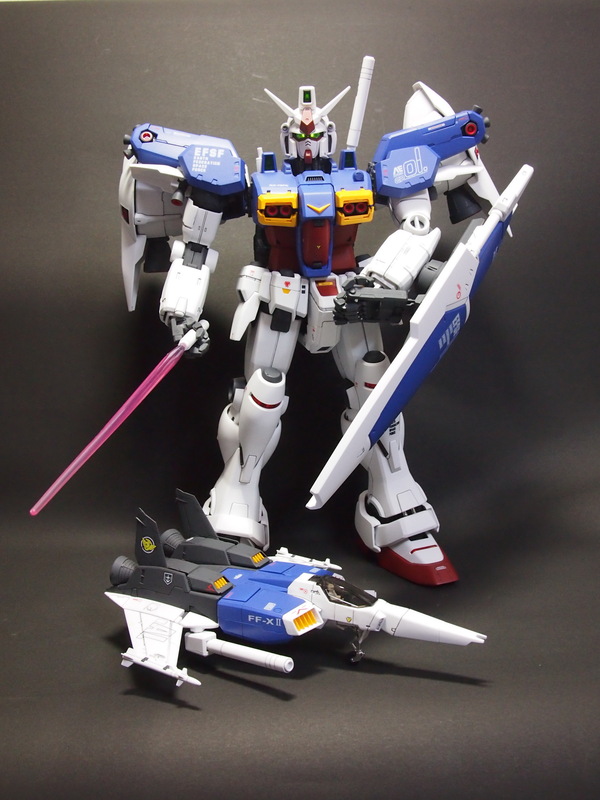 In fact, the only “new” MG to be announce was the Delta Plus. 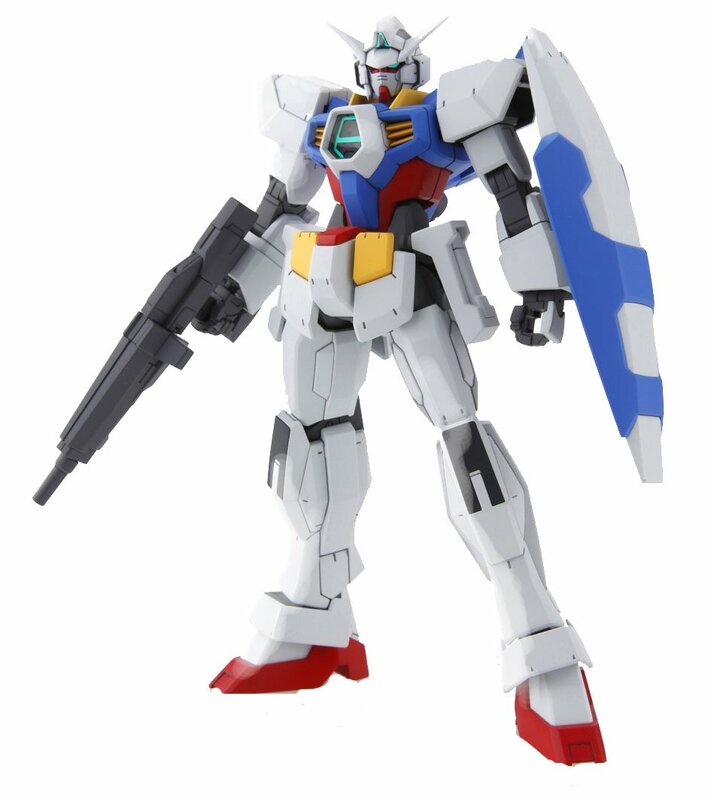 I held off on the HG Delta Plus because I figured Bandai was going to do something like this, similar to the HG ReZel, by releasing in well within a year or so of the HG release. 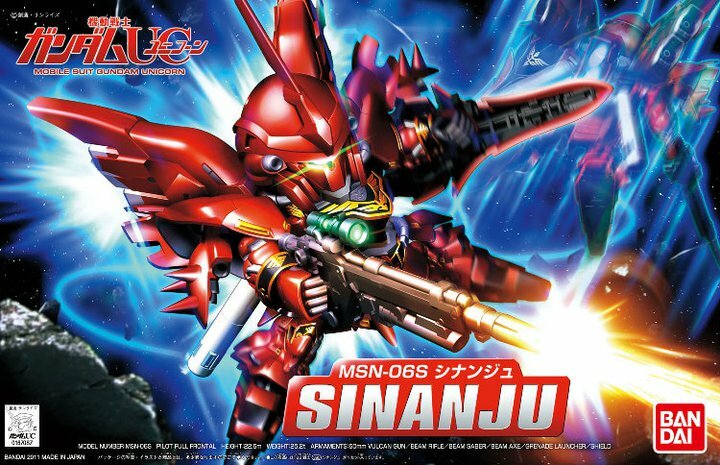 At this point, I’m sure we’ll have a MG Geara Zulu by the end of the year. 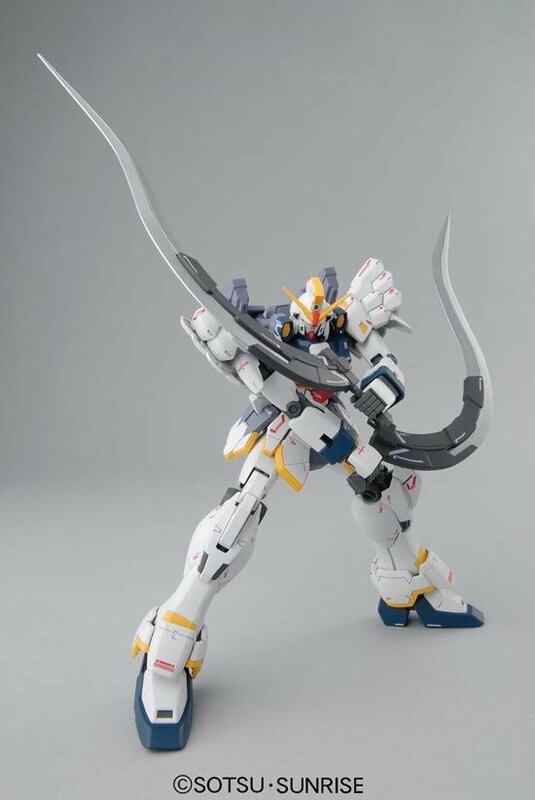 Aside from the already announced Gundam Wing MG kits (and you notice that Heavy Arms and Sandrock were the HG 1/100’s still) and 00 Raiser and Epyon, it was quite barren. 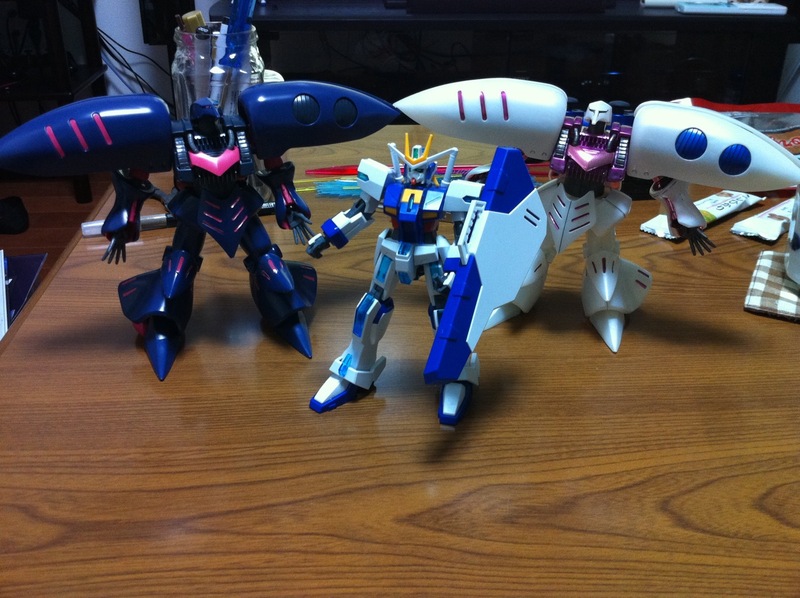 HG kits saw some love you could say, or at least G Gundam kits did, but overall, I found this years show to be a bust. 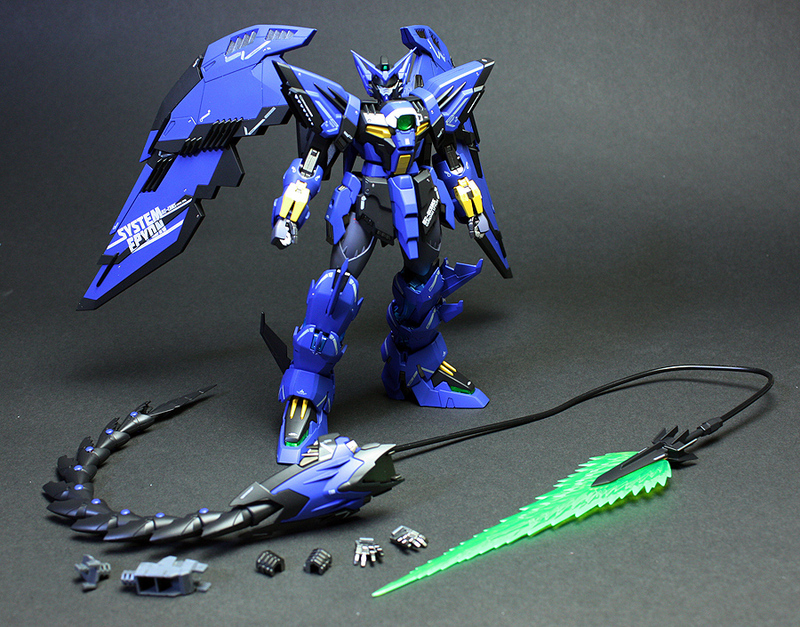 I will say that the SD Kshatriya looks awesome though! 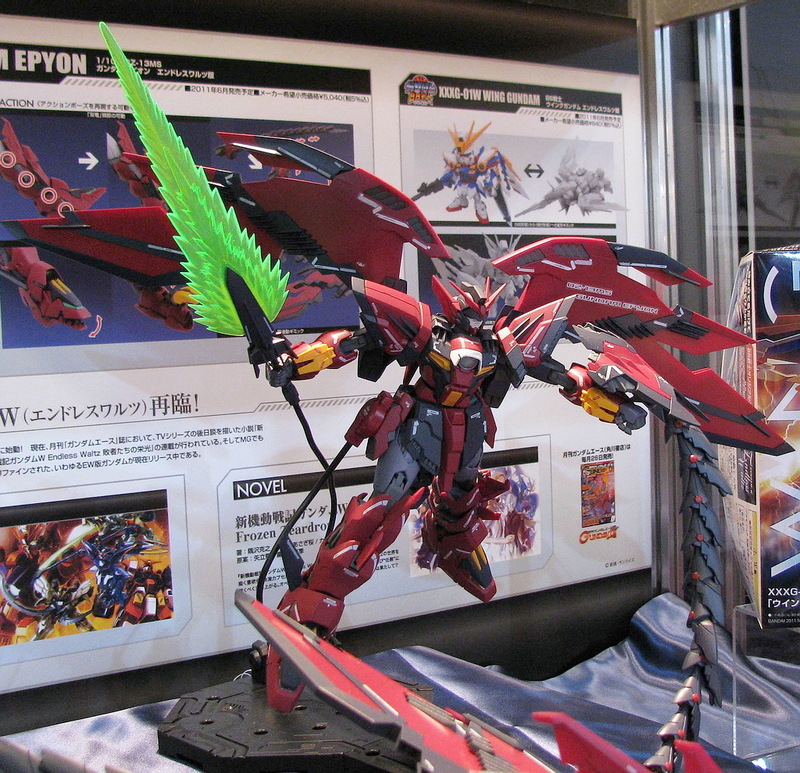 So, the last major kit on my list to buy at this point is the Epyon, and I’m done for a long while unless something awesome is announced. And given that there is a new series to be announced next week, I’m sure there will be new awesome kits coming out this year… perhaps. 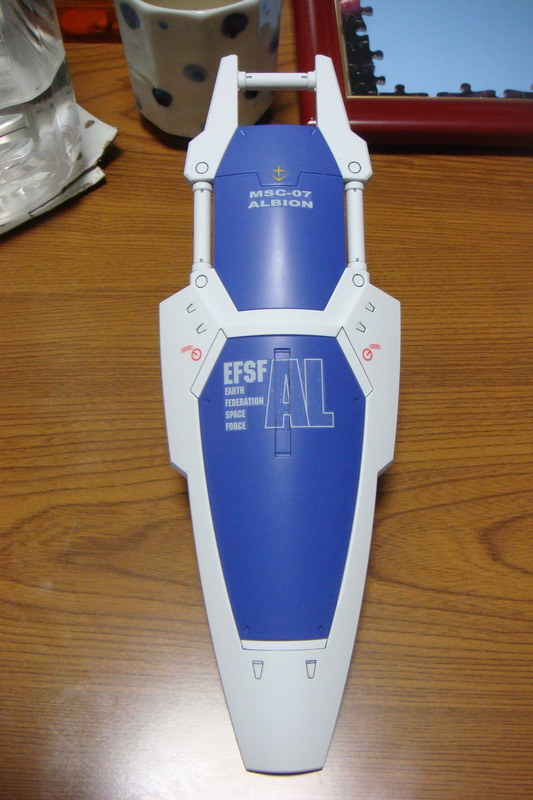 But, I’m still on track for a special kit arriving in July as well, so that will probably take up some of my time for the foreseeable future aside for the PGSF, so perhaps it’s for the best. While nothing exciting on the horizon in my opinion, what’s everyone looking forward to, or planning on spending these long summer months working on? 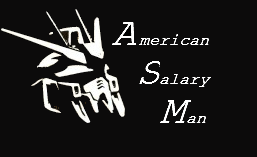 Posted in Featured Posts, Gundam, The State of the Gunpla Union. This month’s SOTGU is a bit delayed (as usual) due to a couple of different things. Long story short, April was just a really really hard month. It didn’t help that I caught a cold the last couple of days of the month. I basically spent the first few days of the long Golden Week vacation getting over a cold, only to have an operation yesterday to remove an impacted (embedded?) wisdom tooth, to now spend the next few days in pain waiting for the swelling to go down. But going back to April, it was simply a hard month. Why is that? Since I’ve been stuck in bed for the last few days for cold/teeth/swollen face reasons, I thought back on it, and I guess it comes down to work. As everyone knows, I now work at a much bigger company than when I was in Tokyo, and on top of that, a major Japanese global conglomerate. This April was the first time I got to really see how the workings of such a company works on a variety of levels. I really could go into it, but I’m sure it would be boring to most. To say the least, it’s very different from the small-sized company I worked at before. In short, my April consisted of: 1.) HR Ops dealing with 200 new grad and mid-career hires. 2.) two business trips to Tokyo/Yokohama dealing with benefits for international employees. 3.) Working on preparing services and operations in Shanghai and supporting the employees scheduled to be expatriated there. 4.) Working with employees scheduled to be expatriated to other locations abroad. 5.) Dealing with issues with currently expatriated employees in Singapore/America. 6.) Counseling and followup to employees affected by the earthquake last month. 7.) Writing reports and preparing my first evaluation with the company. 8.) And as usual, helping out my co-workers with anything and everything in English. Whew, that’s most of it I think? Now it might seem that I’m complaining, but the truth of it is, despite all of this, I love my job. It has a ton of responsibilities, but I’m given the chance to make help the company move forward, and it’s great experience overall. Still, this month came with some of the frustrations that come with an old school Japanese mindset trying to work in global market…. That and I’m hoping this first evaluation will reflect well and that it will come with the appropriate compensation. What this does mean though with the added responsibilities and leeway I’ve been given, that does mean more work, and even being on call now in light of crisis management since the earthquake. I now get to carry a blackberry for work despite not being a manager, due to some of my unique roles. 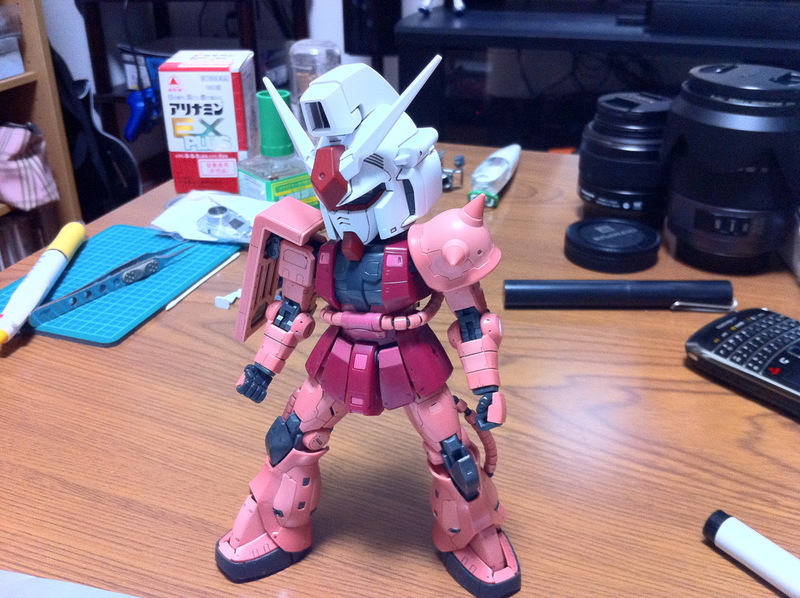 So overall, less time for Gunpla it feels like. But some other good points of April included being able to meet up with GaiGun in Akiba during one of my trips to Tokyo, as well as getting in and actually finishing the HGUC ANA Unicorn Gundam. 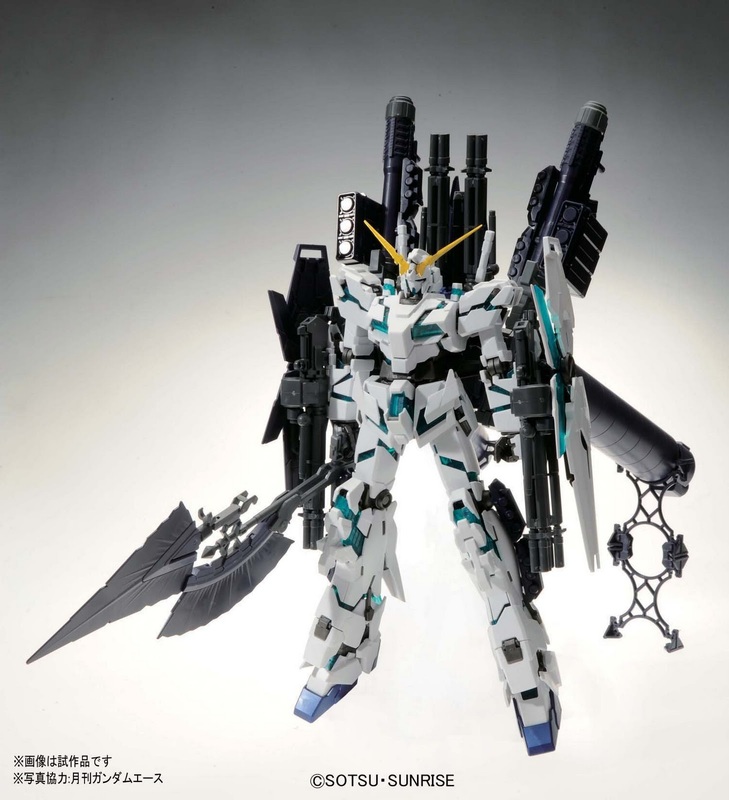 I also went ahead and knocked out the regular HGUC Unicorn Unicorn (Destroy Mode Ver.) even though sadly it plays second fiddle to the ANA version. Other than the two Unicorns built, the only other Gunpla action that happened this month was the my ongoing progress with the PG GP01. You can see more pictures of it on the Facebook page, but if things go well, I should be finished with it sometime this month. 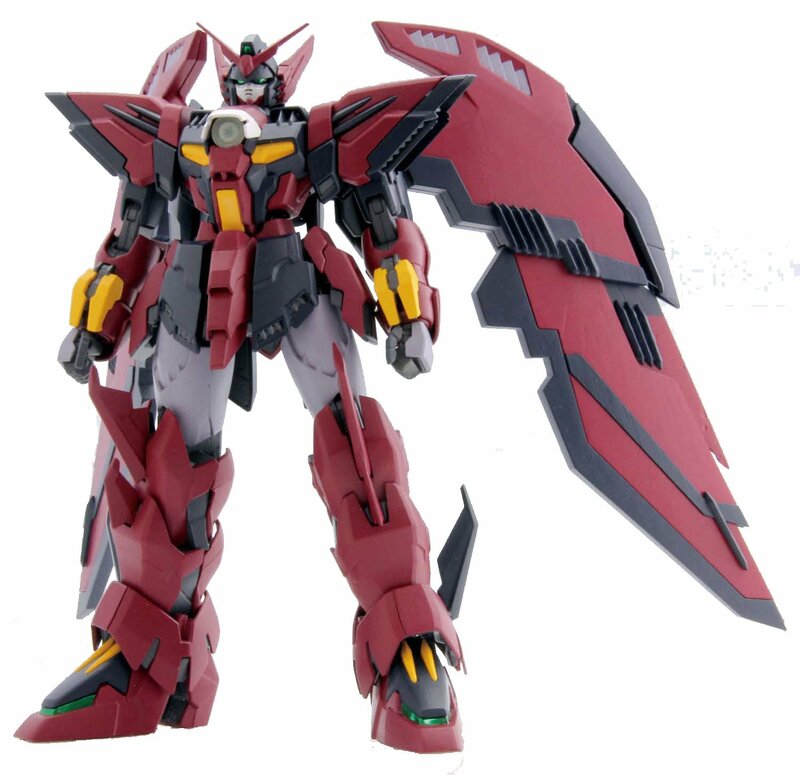 There really isn’t much out on my radar going forward though, as I’ve said for the last few months, aside from the RG Strike and MG Epyon. If I had more time I would use it to tackle the backlog but it still sits there unattended due to more pressing needs. 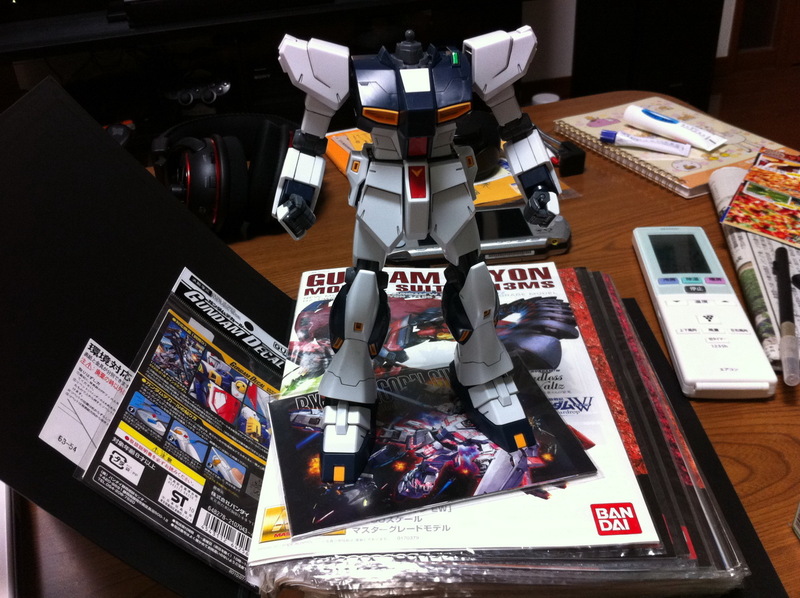 Still, as I started spring cleaning in late April, we moved my work desk to the spare room where everything is stored, and with the absence of the PG GP01 the backlog does look somewhat smaller? 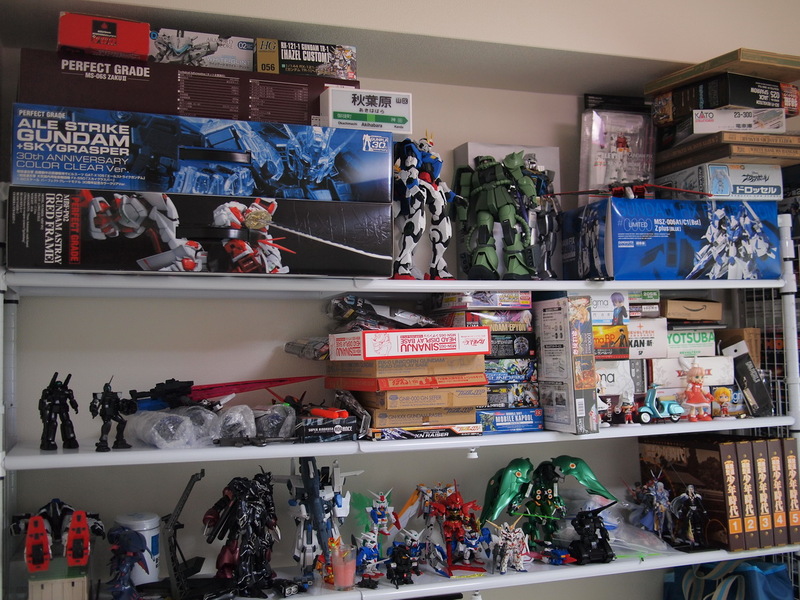 There are a few other kit boxes that aren’t “stocked” in the spare room, consisting of the RG Char’s Zaku II and HGUC 0 Gundam, but you get the idea. 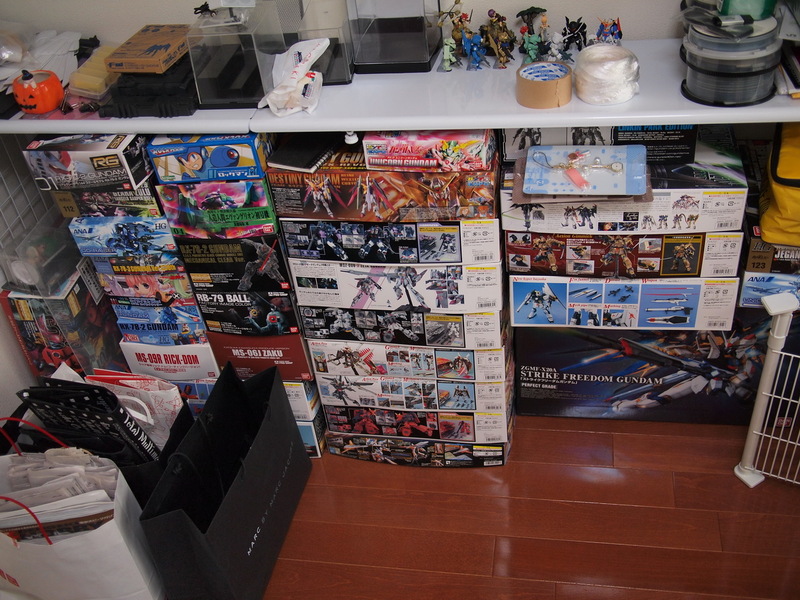 I still haven’t moved my more recent built kits to the rack yet though, and they sit lonely in the Japanese tatami room. 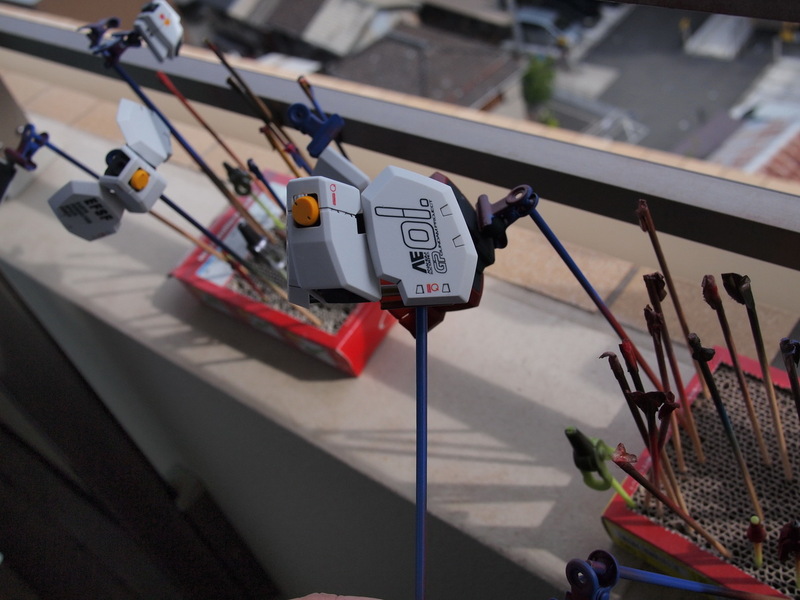 Much like GaiGun, I’ve not found the desire to blog or gunpla in the recent weeks following the Tohoku earthquake. To be honest, I’ve done not much of anything aside from work and coming home and watching the news. No gaming, no gunpla, not following the latest gunpla news or anything. As I mentioned before, thankfully everyone at my company was safe, but there arose the situation where people were still affected by loss of homes or family. Also, as a former JET, I was saddened to hear about the loss of a JET member as well. This earthquake, tsunami, nuclear crisis, and rolling black outs affecting the Kanto region will continue to affect things for the long term it seems. But life goes on, right? We pick up and rebuild, and even if I wasn’t directly affected, I need to pick up and go forward. I’m happy that the efforts I’m doing at work is going to help our employees and those affected. 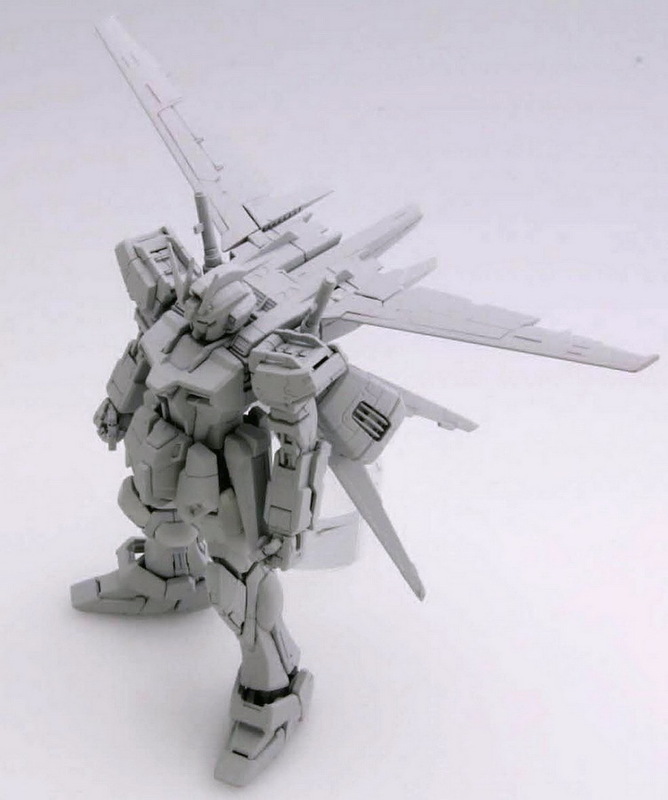 Yep, doing the PG Strike Freedom got me in the PG mood and I’ve started on the PG GP01. 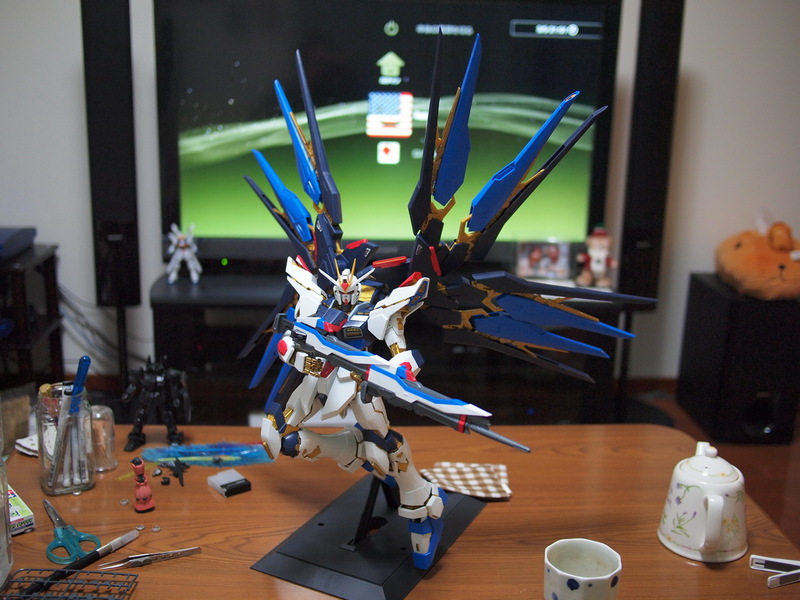 Yeah, I know I need to get back to finishing up the PG Strike Freedom as well. As you see, it’s looking big and pretty here. In fact, it’s so big that it will be pretty hard to take good pictures with my current setup most likely. But yeah, the goal is to actually get some stuff taken in April, as we’ll be doing some spring cleaning and rearranging a couple of our rooms. 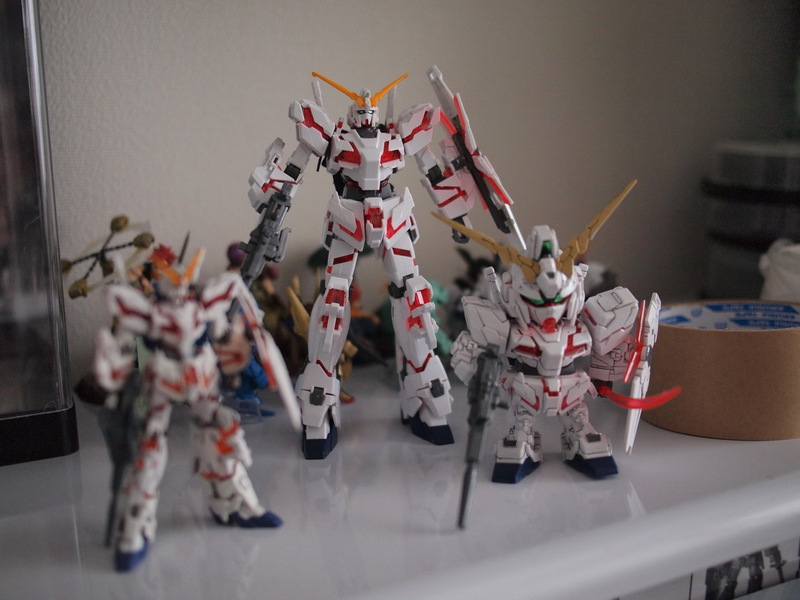 With that said, I’m debating on what to do with some of my older already built kits. 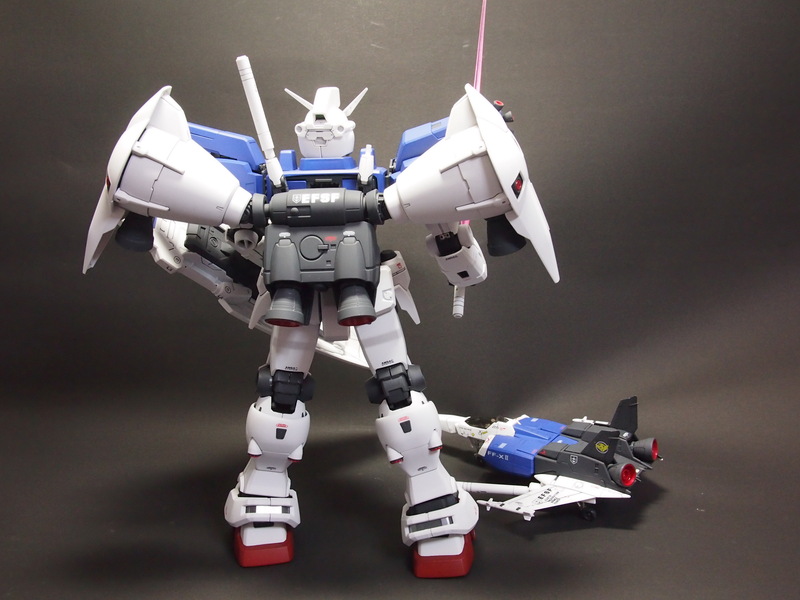 Not that I’m going to throw anything out, but my original backlog was somewhat of a giant lot of stuff I got cheap, and in that were a few kits that I just built and that was it. So, I may be passing on those kits to people who might want to take them and make them something special. This is just something floating around my head right now, so I’m not sure how this will work out. 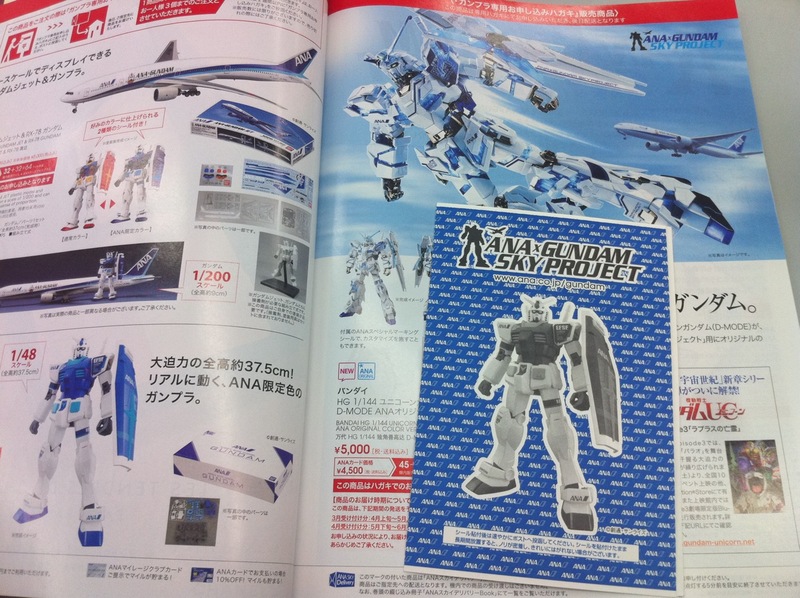 Of course, by reading that, you may think I’m getting out of Gunpla or something. 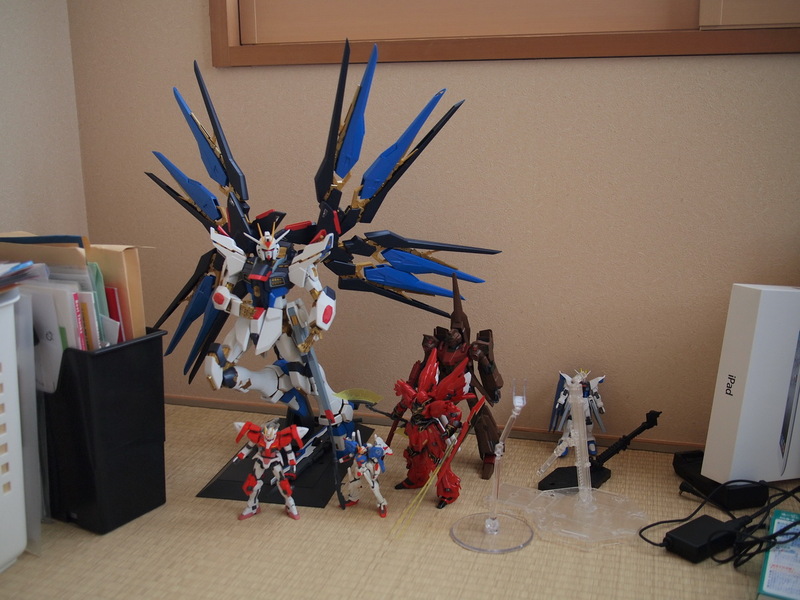 I’m not, but priorities are priorities, and Gunpla has always been somewhat of an escape for me. Now with a job that keeps me busy, and that I actually really like, I’m having less time to build then before. 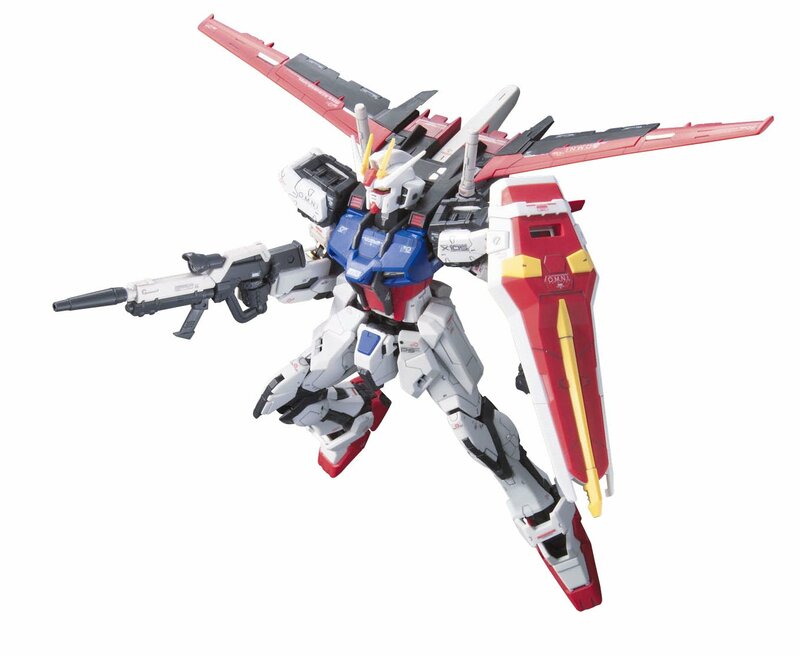 There is also a Gentei kit coming in July that I’m saving up for too, so I’m thinking about that too. 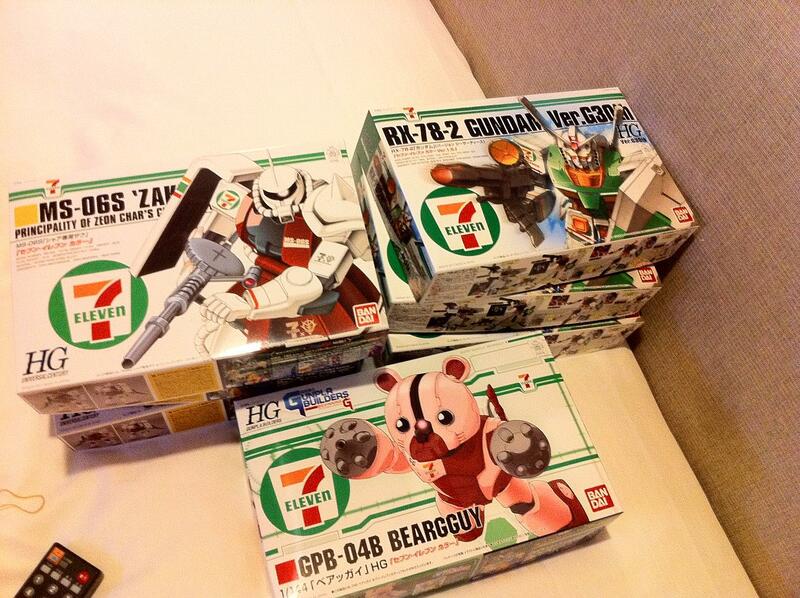 But no worries, the gunpla is still going on, just not as much. Of course there are kits on my radar coming up. 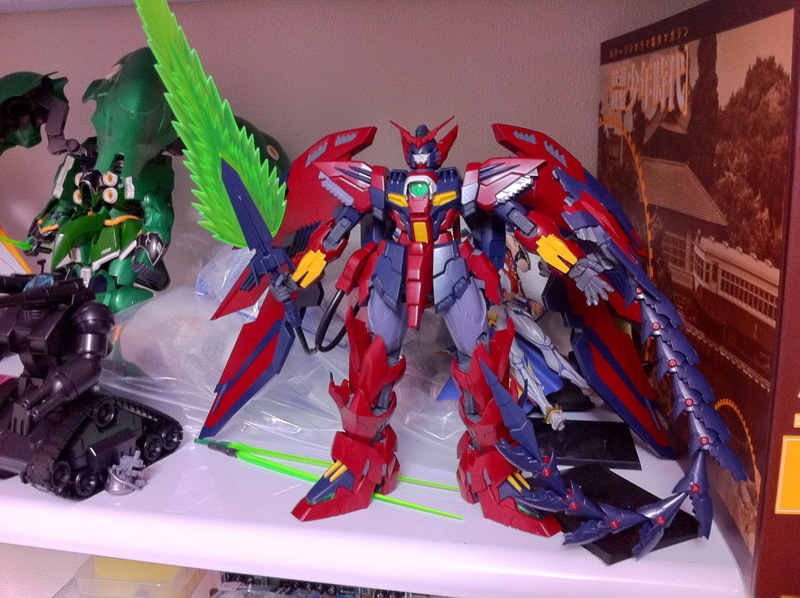 As mentioned last month, I’m looking forward to both the MG Epyon and RG Strike. While it’s a bit of a short post this time around, I figured it’s good to get back on the ball, even if it’ll take a while to get back into things. We’ll see how April goes!